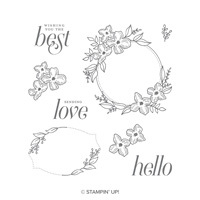 Floral Frames Wood-Mount Bundle by Stampin' Up! Make these classic framed messages your own by creating fun colour schemes for them. Create leaves and frames in record time with Framelits dies and the Big Shot. 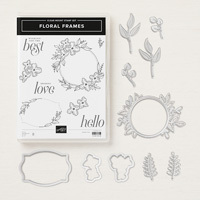 These dies are designed to use multiple pieces to layer behind a circle or other pieces to create foliage and a layered look to your projects.